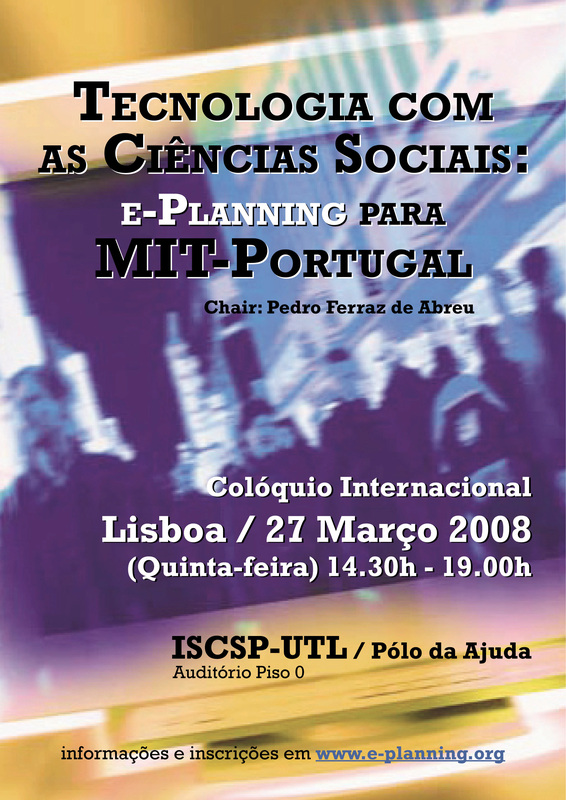 The Portugal e-Planning Consortium, in collaboration with MIT, presented its research agenda and curriculum on the 27th March 2008 in a colloquium held at ISCSP (The Institute of Social Sciences and Politics), Technical University of Lisbon, at the "Polo da Ajuda" Campus. 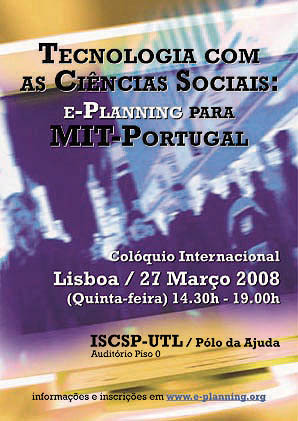 The colloquium includes presentations by several MIT and Portuguese University researchers. Open and free, but with pre-registration.